funding cuts, and keeping your job. 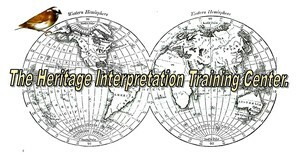 While heritage interpreters and education curators are well trained in their specific subject matter, the one area most interpreters have no training in, and probably never think about, is the economics of interpretation and justifying their jobs to provide interpretive programs and services for their agencies, organizations or institutions. They don't know how much they are "worth" to an organizations like a museum or park as a result of the benefits they provide that organization in return for their salary and operating budgets. They don't think about it or bother to figure it out from a purely business point of view. So when budget cuts come - you are out. This course is a "introspective" course to acquaint you with the economic philosophy of being able to justify to a manager or director, how you/your position creates more benefits or revenue than it costs to employ you. 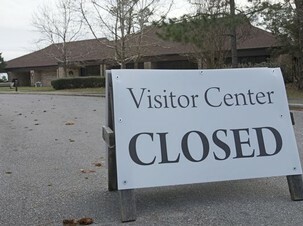 It may save your job when budget cuts make the rounds in the parks, heritage and museum professions. Let's look at this real word possibility. A. Jane is a senior interpreter making $50K/year. Her programs and services raises over $80K in benefits for the park district in program fees, grants and savings in maintenance costs via her programs to reduce vandalism and promote stewardship in park visitors. B. Bill is a senior interpreter making $50K/year. He focuses on school groups that bring in $20K in revenue. He does more marketing and outreach but the income generated is minimal and outreach travel costs often exceed attracting new visitors and revenue. You are the Parks Director. Which person will you fire? Which one will you keep? Do you know how to justify your position from an economic point of view? Can you prove to an agency that you bring in more revenue and intangible benefits to the agency than your salary? Are you more valuable to the organization than you are paid? How will you prove it to save your job? In these financial times you have to be able to PROVE that you bring in more benefits or revenue to the agency/organization (Museum, Park, Heritage Site) than you cost - or you are a target for redundancy! This course can involve a lot of one-on-one chats with the course coach on your particular job/scope of work and ways to calculate your cost/contact and cost effectiveness figures. - 40 years of interpretive planning, training and critiquing experience. - Sr. Instructor, Kansas State University - Global Campus (Interpretive Planning). Unit One - Is your job description indispensible? This unit will have you review each job in your job description for you to consider how can I make this job (and me) indispensible to my agency. Unit Two - What do I cost and how can I track my benefits to my agency in a cost/contact and cost effectiveness strategy? Unit Three - How does my agency define (or expect) "success" and how can I exceed it in my job performance? Unit Four - what do my programs cost and what are my program direct benefits (tangible and intangible) to my agency. Do they make money or lose money? Unit Five - what do my interpretive media cost (panels, exhibits, audio-visual, etc.) media cost on a cost/visitor contact, and what is the cost effectiveness of each media? Unit Six - How can I make my expertise and services available and indispensible to other agency offices, members or divisions (Internal Marketing). Unit Seven - How can I use marketing research and visitor surveys for proof that my programs, services and exhibits are benefiting my agency? Unit Eight - How can I track my marketing materials on-site to see if my work is increasing visitation numbers and perhaps sales? Unit Nine - How can I track and report my "successes" on a monthly or quarterly basis for meetings with my Manager or Director to illustrate my success (and my indispensability)? Unit Ten - How can I use my tracking/quarterly reports and proof of my exceptional work in creating more benefits than I cost (salary) for applying for a better job (if that is your goal to move up to be a director or manager yourself). Note - this course also works for folks are ARE managers or directors and have to report to a Board to "keep their job" as well or want to move on to a "better" position and better salary and benefits. For our e-LIVE courses, all assignments from each unit will be sent to Prof. Veverka for review and comments or coaching. You can talk with John whenever you need to by phone, SKYPE, or e-mail. John will be YOUR personal coach for this course and will be happy to help with your feasibility analysis. When will the course start? You can start this course at any time and work at your own pace. It is estimated that it will take about 16 hours to complete this course. The cost of the 16 hours of training is $300.00 USD, which can be paid for by credit card or PayPal via the Pay Now button below. If you're interested in this course and would like to enroll in it - send an e-mail to John at: jvainterp@aol.com for a registration form. If you have any questions at all feel free to ask. Then return to this page to pay for the course tuition.